Goudhurst Parish Church, dedicated to St Mary’s, with its square tower, is in a commanding position on top of the hill, with extensive views in all directions. The first mention of a church in Goudhurst is in 1119 when Robert de Crevecoeur gave his church at Goudhurst to the Abbey at Leeds in Kent. Not long after this Robert de Thurnham of Leeds Castle, Kent founded an Abbey at Combwell in the parish of Goudhurst and made grants of land thereto. The original St Mary’s church was a small building covering, in all probability, the site of the South Chapel and part of the South Aisle and at this time the monks at Combwell Abbey acted as chaplains. It was not until about 1300 that one of them signed himself Peter – the Vicar. 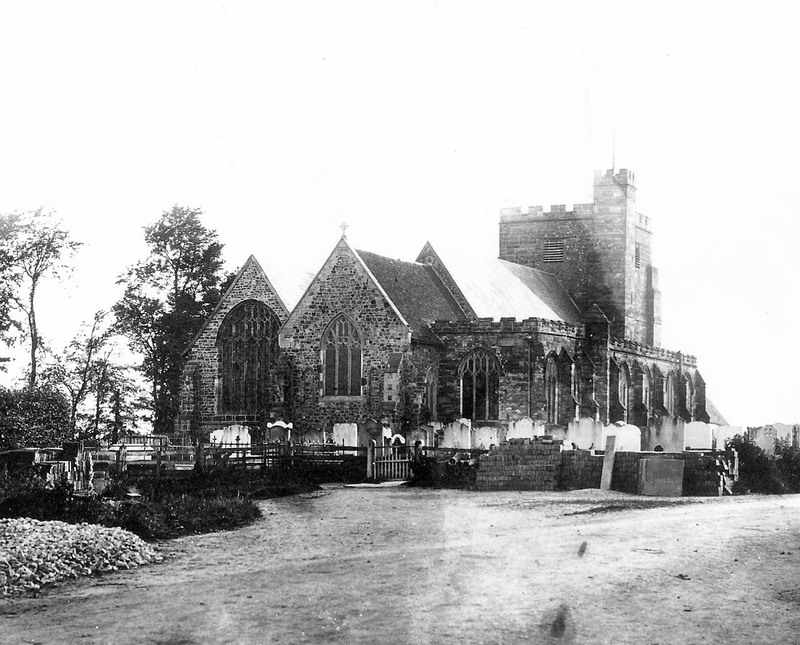 As the population of Goudhurst grew so did the need for a larger and better church and over the next several hundred years the church was gradually enlarged and extended until it became the church we know today. Up until 1637 the church tower was topped by a spire 115ft high. In the same year the spire was struck by lightning and both it and the tower were destroyed. The contract to rebuild the tower was awarded to a London firm Kinsman, Holmes and Young in 1638 and specified that the height of the finished tower should be 70 feet from the ground to top of the 4 foot high battlements. In addition the whole edifice was to be finished by four twenty-foot high pinnacles. However, for a variety of reasons, this ambitious scheme was never completed, leaving the tower one storey short and without its pinnacles. The memorials in the churchyard were copied in 1923 are available on the website of the Kent Archaeological Society . The Victorian cemetery in Back Lane was opened in 1874 and the current cemetery in 1927.